February 2012 GPC. Report on offer to acquire Saleyards from Nambucca River District Agricultural Association Ltd to be reported to Council’s March GPC. Letter sent 26/10/11. Follow up letter sent on 21/2/2012. Follow up letter sent to WorkCover Authority on 3 February 2012. Local office telephoned and promised it would be attended to. Council receive a report on an organisation structure that would give effect to having 2 Directors as well as 3 Directors down to management level. Further, the proposal for the 3rd Director include an additional budget allocation. Purchase of plastic veranda curtains to create all-weather area at Valla Hall. Council can choose how often it meets and when it meets. It is proposed that the trial commence in April to allow for the normal forward advertising of Council meetings and meetings which have already been scheduled. It is queried whether the commencement time for the Wednesday meeting should be 8.30am instead of 9.00am as some Councillors have indicated they may not always be available through the afternoon. The additional half an hour in the morning would assist in achieving a lunch time conclusion. For this reason it is recommended that this meeting commence at 8.30am. The arrangements have been discussed at a Manex meeting. There will be a risk to conducting business if some Councillors are not available on the Wednesday afternoon. The revised meeting arrangements will reduce the costs in relation to preparing business papers, travel allowances, meeting expenses and staff overtime. There is no impact on working funds for the period of the trial. The Protection of the Environment Operations Underground Petroleum Storage Systems (UPSS) Regulation 2008, currently prescribes that the EPA's role as the appropriate regulatory authority for the regulation will cease on 1 July 2012, at which time local government will assume responsibility for the regulation of local UPSS. However, there is a proposed amendment to the regulation which would delay this handover until 1 June 2017. Leaking fuel from old, rusting underground tanks can cause significant contamination of stock and potable water supplies, damage to neighbouring properties and very substantial clean up costs for the owner and the community if ongoing leaks remain undetected. Leaking fuel is the most common cause of significantly contaminated land in NSW. In 2007 the EPA introduced the Protection of the Environment Operations Underground Petroleum Storage Systems Regulation 2008 (UPSS Regulation) to reduce the risk to the community from leaking underground tanks by phasing in, a series of good contemporary industrial practices aimed at early identification of leaking tanks and good management practices for their ongoing maintenance. The regulation prescribes that a handover from the EPA to local government as the appropriate regulatory authority (ARA) is to be on 1 June 2012. · To resolve pre-existing contamination at UPSS sites. By extending the handover date the EPA will fulfil the objective that any petroleum sites managed by the EPA will only become the responsibility of councils once the site issues have been appropriately resolved. What will it mean for Council in 2017? 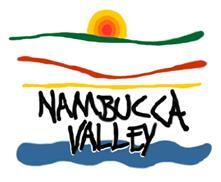 By 2017 all UPSS in the Nambucca Shire LGA will be handed over to Council to regulate. This will mean that more work will be made for the Environmental Compliance Officers position in the form of onsite inspections/audits of testing reports. This will also bring in some income in the form of Council's licensed premises annual inspections/audits. It is noted that the EPA is slowly handing over industries, such as saw mills that need to be annually audited, as these no longer fall under the EPA's licensing guidelines. Council has a concise, but not complete, list of all UPSS in the LGA. Under the current legislation several UPSS have been decommissioned in the LGA and all working UPSS have been upgraded to fulfil the legislation. Upgrades have included removing the old steel tanks and replacing with new carbon fibre tanks, monitoring wells in and around the tanks for monitoring soil contamination and strict reporting for the monitoring wells. This new legislation has provided a state wide clean up of the No 1 land contaminate. The long term monitoring will help reduce pollution from leaking tanks. Knowing that UPSS are being monitored continuously will give peace of mind to those living around service stations (old & new) that their land will not be contaminated. The high cost of land contamination clean up will be reduced now that monitoring is compulsory. There is a lower risk of underground petroleum contamination occurring. Will become part of Council's annual auditing of polluting industries. · There is non pig odour that is also affecting residents of Tewinga, (noted that all adjoining land is rural and graze different animals, eg: cattle, goats, horses and pigs). · Several extreme odour events that occurred during the testing period were not pig related. · Pig odour does reach the neighbouring residents. · The pig odour detected is characteristic of an intensive piggery. · There is pig related odour occurring even after the pigs are removed from the property, this maybe related to the impregnation of the ground from their dung. · The pig odour is carried past the boundaries of 266 Irvines Road. · The odour was the greatest when there were numerous pigs (approx 140) at the property. During the second testing phase (Sept–Nov) the pigs were taken off the property 5 days after testing began. The ambient odour on days 1-3 matched the fingerprint of an intensive piggery. There were several periods of time after the pigs had been removed that the odour continued to match those of an intensive piggery, such as back in the first stage of testing Feb-April, when there were pigs on-site. This implies that the ground where the pigs have been grazing is impregnated with their dung and the odour will continue until broken down into the soil. The purpose of this report is to advise Council of the result of the Exhibition LEP Amendment No. 5 which proposes to rezone Council land at Part Lot 1 DP 884337 Railway Road Nambucca Heads from IN2 General Industrial to B7 Business Park and amend the building height to 10m. No submissions were received during the exhibition period and the government agency comments are provided in the body of this report. 1 That Council not proceed with the amendment. 2 That Council amend the planning proposal. The site was transferred to Council from the NSW State Forests and the Crown through a compulsory acquisition process upon Gazetted Notice on 31 October 2009. The land is owned by Council and classified as operational. The purpose of the acquisition was to enable Council to develop and sell the land for future industrial development. This is in keeping with the previous and current industrial zoning of the subject land. The land is classified as 'Operational Land' within the meaning of the Local Government Act 1993. In accordance with a previous Council resolution, the net proceeds from the sale of the land are to be returned to the Land Development Reserve. Prior to submission of the development application Council engaged a suitably qualified ecological consultant to undertake a flora and fauna assessment of the site, including a Seven Part Test under Part 5A of the Environmental Planning & Assessment Act 1979 (EP&A Act). The report concluded that the proposal to clear the site and develop the land for industrial purposes was unlikely to have a significant impact on threatened species, Endangered Ecological Communities (EEC) or their habitats. Having regard to this advice Council adopted the recommendation from the Land Development Committee to undertake tree clearing of the subject site. An application was then lodged with Council to subdivide the site into seven (7) industrial lots. This proposal included the provision of a sediment basin and stormwater energy dissipater on the northern adjoining land owned by Forests NSW. Given complications with the acquisition of the adjoining land for stormwater retention the application was amended to subdivide the subject land into four (4) lots having areas of 4147m2, 4377m2, 4282m2 and 11802m2. The first three (3) lots are intended to be sold for future industrial development. Proposed Lot 14 is intended to be retained in Council's ownership in the immediate future until stormwater retention and treatment have been provided for on the land. Through discussions with Councils planning staff and resolution of Councils land development committee it was agreed that the land at the eastern edge of the subdivision (proposed Lot 14) may be more suited to light industry and larger commercial/retail activities, reducing potential land use conflict issues that may be encountered due to the near bye residential/ commercial precincts and minimising the visual impact general industry may have on the gateway into Nambucca Heads. For this reason it was proposed to rezone this land to B7 Business Park from IN1 General Industrial. This zone may also provide for a range of uses more suitable to the size of the land available after stormwater treatment facilities are provided on site. The development application was notified and advertised from the 9 December 2010 to 6 of January 2011. No submissions were received during this period. A B7 zone allows a range of uses including; bulky goods premises, industrial retail outlets, light industries, transport facilities, wholesale supplies, etc. It is considered that these types of land uses may be more compatible with the surrounding industrial zoned land, the nearby residential and commercial zoned land as well as the size of the land after stormwater treatment is provided. Proposed Lot 14 also has the benefit of being a corner allotment on the gateway to Nambucca Heads which has good visual exposure. Given its prominent location it is more appropriate for a less intrusive business or light industrial use in comparison to general industry. In accordance with Councils resolution above a Planning Proposal was lodged with the Department of Planning and a Gateway Determination was made to support the proposal. A copy of the Gateway Determination is included as Appendix 1. The gateway determination recommended Council consider applying other development controls to restrict the bulk of development that could occur in the area. The planning proposal was amended to reflect the above resolution and placed on exhibition between 12 January 2012 and 27 January 2012. During this period Council received no submissions on the proposed amendment. As part of the requirements of the Gateway determination Council was required to forward the planning proposal to the following agencies for comment. Council has received the following comments from these agencies. Northern Rivers CMA [attachment 1] offers general advice and a number of recommendations to be considered with the future development of the area. The comments are summarised below and followed by a planning response. Planning response: Council staff are aware of the living and working in rural areas handbook and it is referred to as necessary during environmental assessment. Planning Response: The Native Vegetation Act 2003 does not apply to urban land. Planning Response: Any future development on the land will need to ensure appropriate bushfire requirements are incorporated into future development of the land. Planning Response: Water sensitive Urban Design Principles will be taken into consideration during the preparation of any future development on the site. Stormwater will need to manage on site as discussed previously. Planning Response: Councils DCP 2010 contains requirements for landscaping which could be applied to future development on the land. Given the sites prominent location landscaping will be an important component of future DA’s on the site. The use of Native species will be given consideration particularly on the land adjacent to the State Forest. Future development should avoid exposing or draining acid sulphate soils wherever possible. Planning Response: The Nambucca LEP 2010 contains provisions which address acid sulphate soils. Planning Response: The comments from the RFS generally suggest future development occurs in accordance with the planning for bushfire protection guidelines. NSW Forestry generally considers that the rezoning is unlikely to have any additional impact or conflict with the adjoining state forest management and use. This LEP amendment has been prepared in order to reduce the potential impact the existing land use permissibility’s may have on the adjoining areas. The planning proposal will reduce land use conflicts related to adjoining residential land and minimise the scale of development that will be located at the northern entrance to Nambucca Heads. The planning proposal will minimise impacts that could occur through conflicts with adjoining land uses, and will also reduce the scale of potential development that may occur within the northern entrance. Future business development on the site would benefit from the prominent location located on the land. No risks are associated with the planning proposal. Future development will be subject to standard requirements for development assessment. The LEP amendment will create a more suitable zoning on the land which may be more attractive for potential purchasers. The proposal may have a positive impact on future budgets. 1 Trial and evaluate a number of different approaches in various locations that assist low income households to be energy efficient. 2 Capture and analyse data and information to inform future energy efficiency policy and program approaches. The target group will be low income renters in the 3 alliance Shires with emphasis on the Indigenous populations. The project is for the community and will cost Council some “in kind” costs such as staff time to attend meetings and provision of information. Through the program there will be provision of employment of a Project Manager and Project Officer at the lead Council (Coffs Harbour). · giving landlords incentives to replace old hot water systems with solar hot water systems for their rental properties. The minutes of the Nambucca Shire Traffic Committee meeting held on 7 February 2012 are attached for Council’s information and adoption. 8 Install ‘No Stopping’ signs at the intersection of Short and Lee Streets Nambucca Heads to reinforce the road rules. 2 The members of the Committee met on 7 February 2012 and determined a number of matters as per attached minutes. That the Committee note the adoption of the Minutes of the Meeting held on the 6 December 2011.
d That Council install a No Parking Zone between the hours of 8.00 am to 9.30 am and 2.30 pm to 4.00 pm (school days) on Wallace Street Macksville outside St Patrick’s Chapel to allow additional spaces for parents to drop off and pick up school children. e That Council install No Stopping signs at the corner of Wallace and Durkin Street s to reinforce the road rules and promote road safety. 1 That the Traffic Committee recommends that Council install two 50mm high trial asphalt speed humps at the front of the rear to kerb parking bays opposite the Peachtree Medical and Professional Centre Estuary Lane, Nambucca Heads, in an attempt to stop vehicles rolling forward. 2 That the Traffic Committee recommends that Council install 50mm high asphalt speed humps at the front of the twelve remaining rear to kerb parking bays if Council staff deem that the trial speed humps are considered successful. That the Traffic Committee recommends that Council install Bus Zone signs at the designated bus parking bay at Nambucca Valley Community Christian School with posted Bus Zone timing 8:00 am – 9:30 am and 2:30 pm – 4:00 pm on school days. Councillor Anne Smyth requested the Nambucca Shire Traffic Committee investigate parking issues at the corner of Short and Lee Streets Nambucca Heads. Since the care facility has opened, cars have been parking close to the roundabout at the intersection. That the Traffic Committee recommends that Council install No Stopping signs at the intersection of Short and Lee Streets Nambucca Heads to reinforce the road rules. Council has received an application, attached, from Forests NSW for a B-Double route from Link Road, Nambucca Heads to Tallowwood Road via Old Coast Road, Mann Street and Hyland Park Road. Council has an obligation to assess the route and advise the Applicant of the outcome within 40 working days of Council’s acknowledgement of the application. The only perceived concern is insufficient sight distance to the Tallowwood/Hyland Park Road intersections for vehicles travelling from Hyland Park. The application has been advertised in the Guardian News inviting submissions with a closing time and date of 4.00 pm on the 2 March 2012.
a Council being satisfied that community concerns are addressed, subject to a further report once the deadline for submissions has elapsed, being 4.00 pm on the 2 March 2012. Mr Duffus has requested the Nambucca Shire Traffic Committee review the possibility of extending the 40km per hour speed zone currently in place from the pedestrian refuge on Fraser Street, to commence at the beginning of Anzac Park on Riverside Drive, Nambucca Heads. That Council notes that the Traffic Committee deferred discussion on this item until the next meeting of the Traffic Committee to be held on the 3 April 2012 so that Mr Duffus can provide comment. Mr Duffus has requested that the Nambucca Shire Traffic Committee review the necessity for the installation of a roundabout when exiting the Bowling Club at the intersection of Leonard Street. Four streets converge in this area, being Ellis Avenue, Beer Parade, Dickson Street and Nelson Street . The next meeting will be held on 3 April 2012 commencing at 10.30 am.